The Garden of Sinners Chapter 3: Remaining Sense of Pain is the third movie in the Garden of Sinners series, You can read my review of the second movie here. This chapter was released on the 9th of February, 2008. The Garden of Sinners Chapter 3: Remaining Sense of Pain shows the story of a teenage girl by the name of Fujino Asagami and her descent into madness. During July of 1998, Fujino was beaten and raped by several members of a street gang and despite all the torment they inflict upon her, she acts as though she hasn’t even noticed what was happening. The following day, the shapeless remains of several humans are found in the same building as the events the previous night. Shiki Ryougi is then tasked with finding the culprit of the slaughter, with only the rumour of a single survivor of the slaughter. Shiki must act quickly if she is to stop the culprit before they strike again. My Review: Compared to chapter 2, A Remaining Sense of Pain is far more action-packed, with a pretty exciting final battle. The animation style is beautiful as always and works well to show the movement of each attack, within each fight. We also get a nice round story that, while not adding a great deal to the series overarching plot, has a nice beginning and end, which I thought was a nice way to move past the plot-heavy tone of the previous chapter. 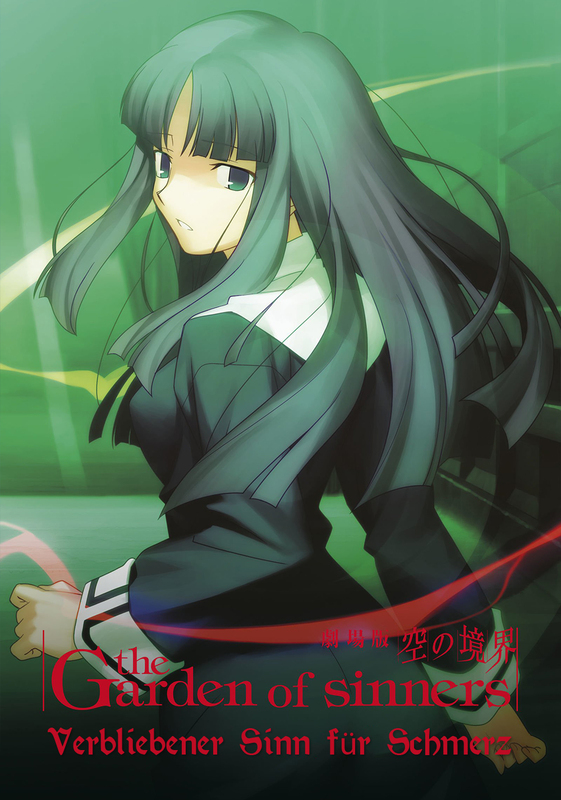 I thought that the character of Fujino Asagami was really interesting, the arc she goes through is a really distinct and well rounded. Not to mention that you don’t come across character such as this all too often. One of my favourite movies in the series, Chapter 3: Remaining Sense of Pain is definitely worth the watch.